Why it's great: While readers were intimidated by this flat iron's hefty price tag, they claim it's worth it. "It straightens each strand in one pass, doesn't leave my hair looking parched, heats up so fast and never snags my hair," gushes one reader. Others agree, saying this flat iron can straighten "incredibly thick hair in under ten minutes" and its consistent 365-degree heat setting still works "extremely well" compared to flat irons with higher temperatures. "It left my hair looking healthy and not dry or fried," says one user. "Plus it comes with a nifty carrying case." Agree? Disagree? 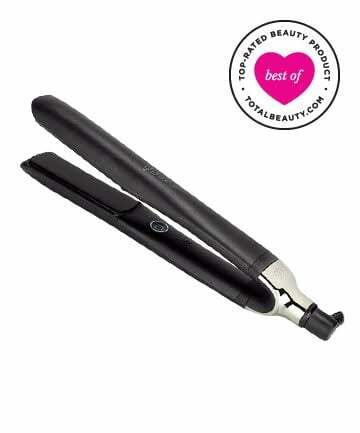 Write your review GHD Platinum Styler here. Looking to invest in a new straightener... thanks to this article I have a pretty good idea on which one now. Great range of choices. $$$ great for those that can afford or prof's...I've been using Vidal Sassoon for years and it's always given me perfect results I can count on. Although there are some great flat irons listed I was shocked that several were missing. Remington? I could list like 5 right off the top of my head that I would say beat a few of the flat irons on this list that cost much more. For low to mid price they are a steal. HSI? This is a amazing flat iron for about 50 bucks. I used mine a great deal favoring it over several pricey Chi models. Without question the absolute best flat iron I have used is the Hana Professional. It totally eliminates frizz and leaves any hair silky smooth and shiny. I have not seen anything that comes close. Believe they hype, it's all true. thanks for the info. Noted and appreciated. The Revlon flat iron is WONDERFUL!!! It's fairly cheap too. GREAT ADVICE. I USE THE REVLON FLAT IRON ON MY WAVY HAIR AND GET GREAT RESULT'S. THANKS FOR THE ADVICE.